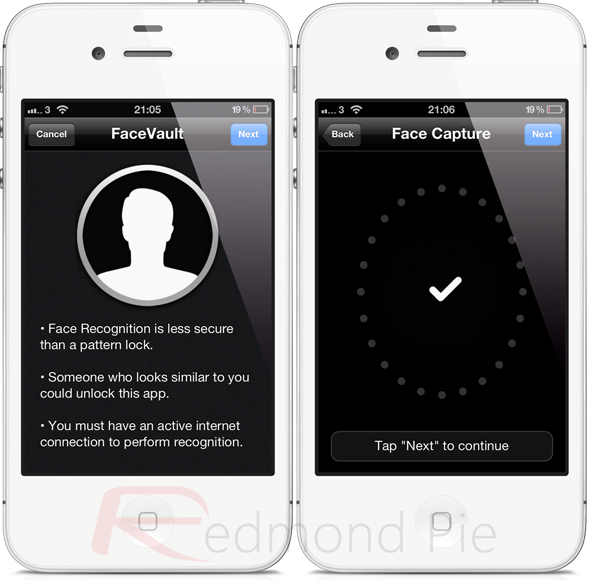 Jailbroken iPhone users happen to be benefitting from the luxuries which the Cydia store provides, one of them is using facial recognition to unlock their device. The RecognizeMe tweak has been available for jailbroken iPhones for quite some time through Cydia and even Android users hold bragging rights over iOS when it comes to this kind of biometric recognition. After suffering from numerous set backs and multiple App Store rejections, the FaceVault app by Robert Neagu has finally been approved by Apple and made available for sale on the iOS App Store. The FaceVault app is a ported version of the stock Android Ice Cream Sandwich feature by the name of Face Unlock, which had to be adapted slightly in the way that it works due to the fact that Apple doesn’t allow developers to take control of the lock screen. In its simplest form, FaceVault basically allows users to import photographs into new albums hosted within the app and protect them with biometric security, in other words; facial recognition. As you might expect, the first time the application is launched the user needs to follow through a setup process which basically trains the device to recognize the user’s facial characteristics. Cleverly, the app also has a fallback method, incase it can’t detect the face for whatever reason, meaning that the user will need to draw an unlock pattern to get access to the app and photos. The facial recognition system that is contained within FaceVault is powered by the Face.com engine and therefore permission needs to be granted to upload the trained facial image to their servers via an active internet connection. The user interface of the app looks extremely native and is very easy to navigate, proving to be extremely intuitive and friendly. 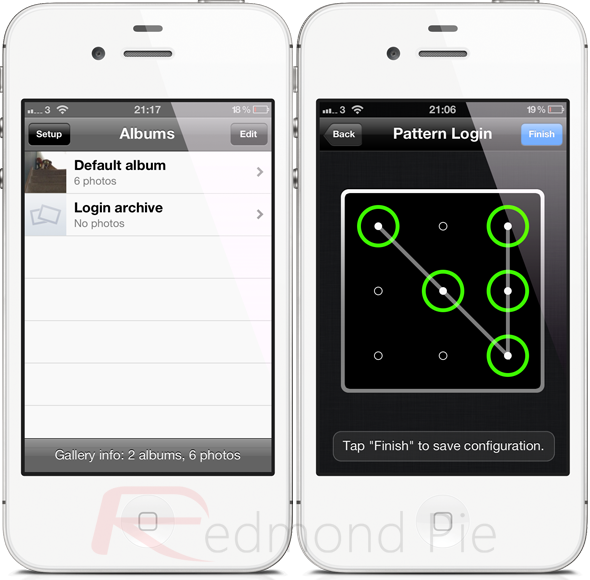 Users can also choose to fall back onto the pattern recognition incase of low-light situations as well as having the ability to create unlimited albums, with photos being imported from the device’s Camera Roll. One of the neat little features of the app is the fact that it takes and stores a photograph of the person attempting to access the app through the use of the facial detection system, meaning that if the handset happens to fall into the wrong hands it will take an image of that person, pretty neat no? 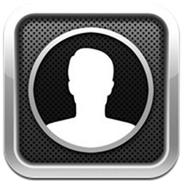 FaceVault is available for download from the iOS App Store for a dollar and requires a device running iOS 5.0 or above.